Laxmi Industries is a reputed name in the industry, appreciated for its best in class Polypropylene Making Machine. We are widely acknowledged as reliable Polypropylene Making Machine Manufacturer and Supplier. 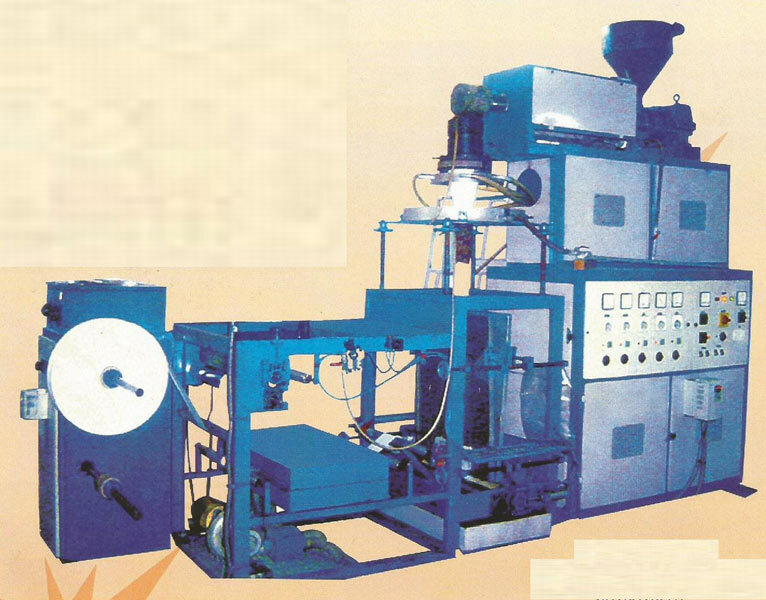 Our Polypropylene Making Machine is made with the finest components and materials as per set industrial norms. Our Polypropylene Making Machine is sturdily built to provide flawless performance over period of time. Main Motor 10 H.P. 15 H.P. Lay Flat Tubing 3" to 16" 5" to 24"
Production 50 Kg. 65 kg. Blower ½ H.P. ½ H.P.